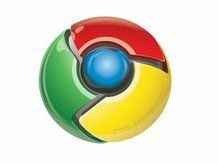 Will Chrome power Google's netbook? Specs for a Chrome-powered Google netbook device have been apparently released and against some expectations, it looks like it's a high powered machine. It'll reportedly have an Nvidia Tegra chipset, which does indeed support Android, with an ARM processor, all powering a 10.1 inch multi touch screen, and will come with 64GB SSD, 2GB RAM, WiFi, 3G, Bluetooth, Ethernet, USB, webcam, 3.5mm audio jack and multi-card reader. The release date is around the end of 2010 and is expected to come with standard Google apps, like Gmail, Calendar, Documents and so on, as befits a device expected to be optimised for cloud computing. Other rumours suggest a sub-$300 price point, which puts it securely in the netbook category, but it may be bundled as part of a 3G deal, which would make sense. It's not the first time Nvidia has been linked to Tegra powered MIDs: we know Nvidia is looking to the netbook category with its Tegra 2 lineup and ARM have also expressed a lot of interest in Chrome. So it's not completely inconceivable, although Google did tell us not too long ago that touchscreens for Chrome OS weren't part of their current focus. Not everyone is taking the story at face value especially given a lack of sources, although it is not dissimilar to a story we reported just a few days ago, via TechCrunch, that suggested a similar spec. Internet echo chamber? Maybe. But not impossible, especially in light of the upcoming Google Nexus One phone.